Meet Carlos Lássimo: cashew farmer, seedling producer, teacher and proud father. In the small village of Cataputa, Mozambique, Carlos Lássimo grafts cashew seedlings with his 10-year-old son, Adamo. Just as Carlos had learned about cashew production from his father, he is teaching his son traditional farming knowledge, which has been passed on from generation to generation. But Carlos is sharing more than traditional knowledge with his son. 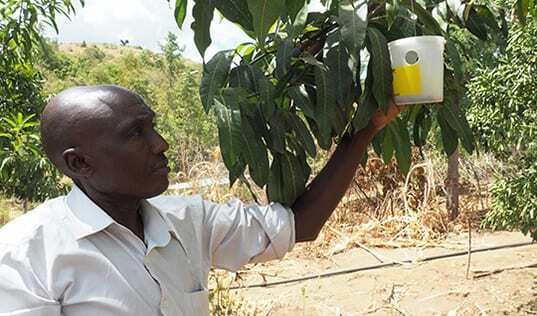 He is also sharing the expanded knowledge base that he has gained through his work with MozaCajú, a TechnoServe project funded by the U.S. Department of Agriculture, which is working to connect smallholder Mozambican cashew farmers to factories and markets. Carlos is also sharing his knowledge of best practices with the greater community. In 2014, Carlos was chosen to become a MozaCajú promoter – a farmer who is trusted and known in his community and who is trained to deliver technical assistance on cashew production to other farmers. MozaCajú has specific criteria for choosing the promoters, including attainment of a certain level of schooling and literacy as well as approval from the community. But Carlos was so well respected and liked in his community that he was chosen as promoter despite his lack of formal qualifications. Over the past two years, Carlos has joined other MozaCajú promoters in receiving training on techniques and technology for improved cashew production, including cleaning, pruning and post-harvesting practices. In early June he participated in a training on crop protection techniques. Since warding off disease and pests could double cashew production, this is one of the most important trainings of the crop season. As a promoter, Carlos is responsible for attending MozaCajú trainings such as these and then disseminating this knowledge and information in his community. Lássimo uses his own field of 50 cashew trees in order to teach the other farmers and demonstrate the impact of the learned techniques and technologies. Though it may seem simple – sharing knowledge on basic production techniques – this type of training can make a big difference to a smallholder farmer. Since Carlos began applying these techniques to his cashew trees, his production has almost doubled, from 600 kilograms in 2013 to 1,150 kilograms in 2015. Each promoter teaches up to 200 cashew farmers in his or her community on these various topics. With 165 promoters, MozaCajú is able to provide extension services to over 23,000 cashew farmers. MozaCajú also provides My Cashew Business trainings on commercialization techniques and strategies, which have helped farmers like Carlos increase their incomes from their improved crops. Carlos and his neighboring farmers aggregated their cashew yields and were able to negotiate with a trader for a higher price. For Carlos, this resulted in revenue of $480 for the season – around $40 more than selling at market price. In addition to learning improved production techniques, Carlos has learned how to grow cashew seedlings through MozaCajú trainings on grafting and seedling production. 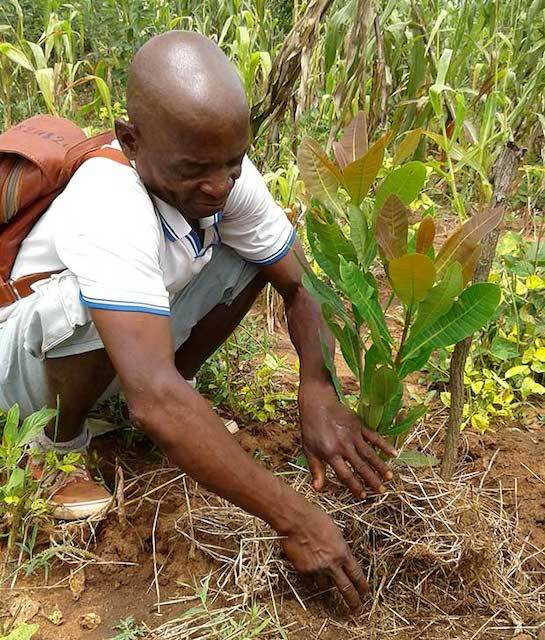 Following the trainings, Carlos received materials and support to establish his own cashew seedling nursery on his farm. 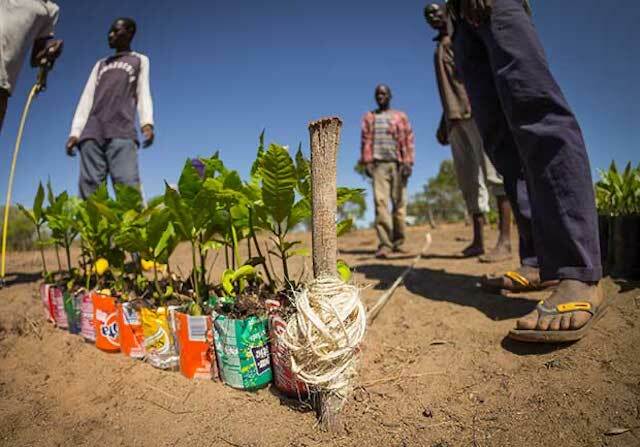 During the 2014-2015 crop season, he successfully grafted 1,200 seedlings at a 76 percent survival rate. This past season, he has increased his seedling production by successfully grafting more than 9,700 seedlings at an 82 percent survival rate. Seedlings and nurseries are an important part of cashew production and without access to these, farmers like Carlos cannot plant new trees and expand their farms. This is of utmost importance in Mozambique where the aging of cashew trees has become a major barrier for increasing production levels. The nurseries also provide another business opportunity for farmers. With few existing private nurseries in northern Mozambique, MozaCajú has supported farmers like Carlos to establish 85 nurseries. After delivering the seedlings to local producers – purchased on a subsidy from MozaCajú – Carlos earned an additional $1,350. Carlos also used his knowledge of cashew seedling grafting to successfully graft 600 seedlings of various other fruit trees. All told, Carlos was able to earn around $1,850 last season from his nursery activities. Carlos has already begun to reap financial reward from the new production methods. He has started building a brick house in his hometown of Montepuez, and he is paying for school for his children and grandchildren. He is also investing in planting new trees on his land. In a few years, Carlos hopes to have a farm with 1,000 cashew trees, plus four hectares planted with banana and sugarcane. 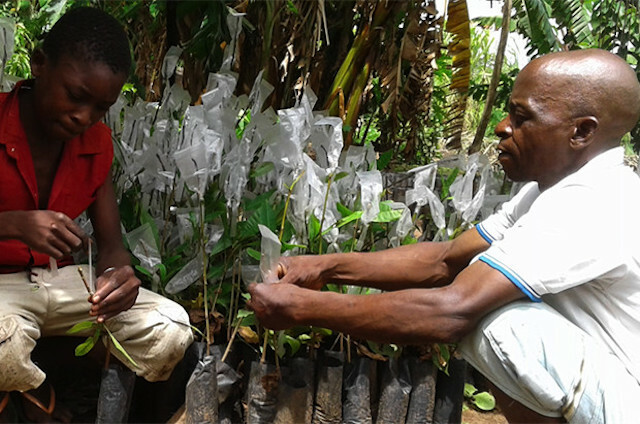 Carlos’ son Adamo has shown a keen interest in growing and grafting cashew trees. He wants to become an agronomist and eventually take over the family’s cashew and nursery businesses. With the extra income from his new production, Carlos plans to pay for agronomy school for Adamo. 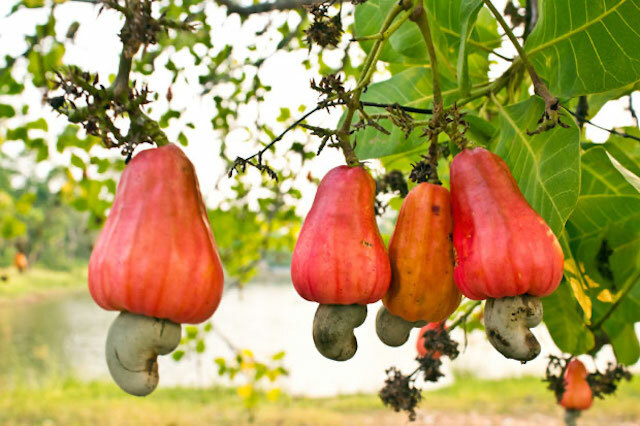 In the Lássimo family, the cashew apple doesn't fall far from the tree. Learn more about MozaCajú and support our programs through a donation here. 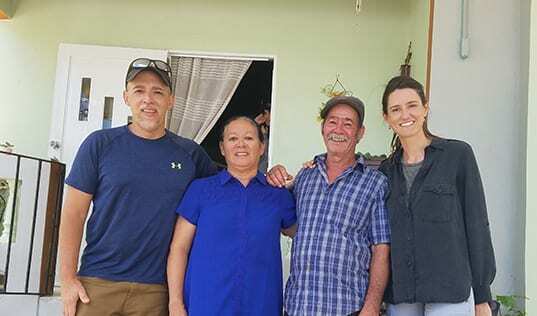 We spoke with TechnoServe’s Coffee Program Manager for Puerto Rico about his plans to revive the industry, the biggest challenges he foresees, and what it’s like to be back home.